There are approximately 17 million people in the Netherlands, cramped in a tiny country. Who would have thought that the wolf would dare to enter this country? Well, against the expectations of many people, numerous wolves. Over the last years, confirmed sightings of the wolf were relatively rare. This year alone, the sightings are reaching double digits. Although it is not publicly confirmed that a wolf has settled yet, this should not take too long. Authorities expect that a female wolf found a place in the northern half of the country to settle. And it is not surprising for the fact that we have more than 600 wolves in Germany. Some wolves even live a day-march away from the Dutch border. The wolf is thus back in the Netherlands, and it is there to stay. As in many other countries, it is now essential to implement proper livestock management. This will not only help the farmers and livestock owners, but will also lead to a coexistence with wildlife that benefits the wolf and other wild animals. Please also read: Wolf spotted in Dutch nature reserve! Young wolves, looking for a partner and new territory, wander up to 70 km a day. Traveling makes them hungry, of course. As a hunter, the wolf always will try to minimise risk of getting injured. The young wolf crosses forests filled with red deer, roe deer, and boar. Additionally, it travels through the field with unprotected sheep and goats. Choosing a prey with less risk results thus in attacking unprotected livestock. It is especially these young wandering wolves that we should focus on. Wolf packs rarely focus on livestock, as it does not bring enough food to the table. Other countries face exactly the same challenge. And the solutions are already available. Looking at other countries in Europe, we see that electric fences, guard dogs and shepherds lower attack rates (close) to zero. We have examples from Switzerland, from Germany and other countries. Switzerland has been a pioneer when it comes to guard dogs. For almost 20 years, the Swiss have tried and tested how guard dogs work best. After all, we know that herd and livestock management is more effective than killing wolves. The result? Proper livestock management techniques, financial help to support livestock owners, and close to no losses. An example for many other regions in Europe. Italian South Tyrol used to lobby for wolf-free alps, now invests €1 million into herd management. The underlying crucial point is communication. People need to communicate with each other, share the success-stories. The platform Wolven in Nederland and other organisations support the work in the Netherlands for a sustainable coexistence. One of the recent projects from ARK Natuurontwikkeling and Van Bommel Faunawerk, implemented by BIJ12-Faunafonds is implementation of guard dogs. Guard dogs are used here to protect scheep from predators. This way, the sheep owner is prepared for the return of the wolf. This is an exemplary project, enabling other sheep owners to learn from it. European Wilderness Society is glad to see these developments, not only in The Netherlands. 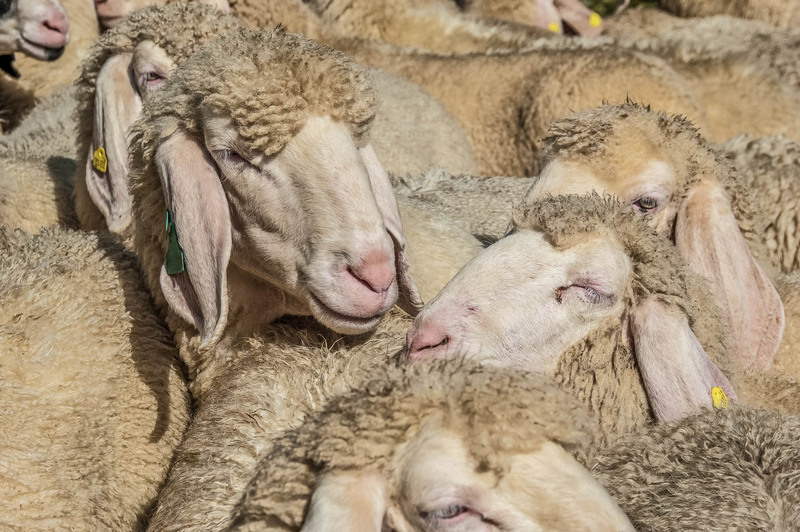 In numerous European countries, governments decided to financially support projects to identify the best livestock protection measures on a local level. The knowledge is available throughout Europe, now it is up to us to properly implement it for coexistence with the wildlife surrounding us.